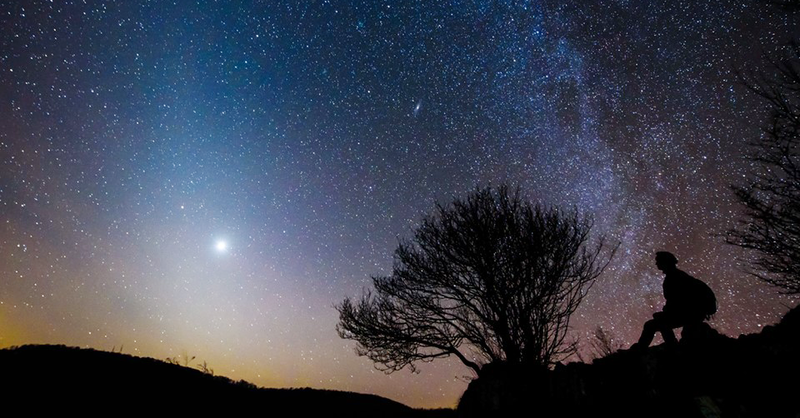 The International Dark-Sky Association (IDA) today announced the designation of Bükk National Park in northern Hungary as the world’s newest International Dark Sky Park. Known as “Bükki Csillagoségbolt-park” (“Bükk Starry Sky Park”) in Hungary, the Park takes its place alongside two other International Dark Sky Parks previously announced in Hungary: Hortobágy National Park and Zselic National Landscape Preservation Area. Bükk National consists of 43,170 hectares (106,675 acres) of land in the Bükk Mountains of Northern Hungary near the city of Miskolc. Situated among the country’s tallest peaks and heavily forested, it is Hungary’s largest national park. The Park’s karstic landscape makes it a mecca for spelunkers, and it is home to some ninety species of nesting birds, many endangered. Visitors find a variety of outdoor and cultural activities throughout the Park. Increasingly, these offerings include experiences that bring visitors closer to a dark night sky. To achieve today’s result, the local Nature Conservation and Cultural Association contracted with the Bükk National Park Directorate in 2014 to survey and document lighting and light pollution in the Park. After making retrofit recommendations for Park lighting, the organizations helped arrange for the required upgrades. They also engaged in dialog with area residents concerning the reduction of light pollution in and around the park, and prepared the International Dark Sky Park application to IDA. “IDA’s work is very important in raising awareness of reducing and fighting against light pollution, which is recognized worldwide,” Novák added. IDA accreditation for the Park required a wide range of cooperation, mainly by the Bükk National Park Directorate and by ‘green’ non-government organizations, forestry companies, municipalities, research institutes and universities. The effort intends to improve nighttime conditions in the Park for wildlife, cultural heritage preservation, and astronomy appreciation and astrotourism. Bükk National Park received Provisional status from IDA in order to gain more time to meet the minimum 2/3 compliance rate for dark sky friendly light fixtures in the Park. The conditional designation requires that the Park achieve that rate within three years of today’s announcement, and to further achieve 90% compliance within five years and 100% compliance within ten years. The Park aims to achieve full compliance by 2021.